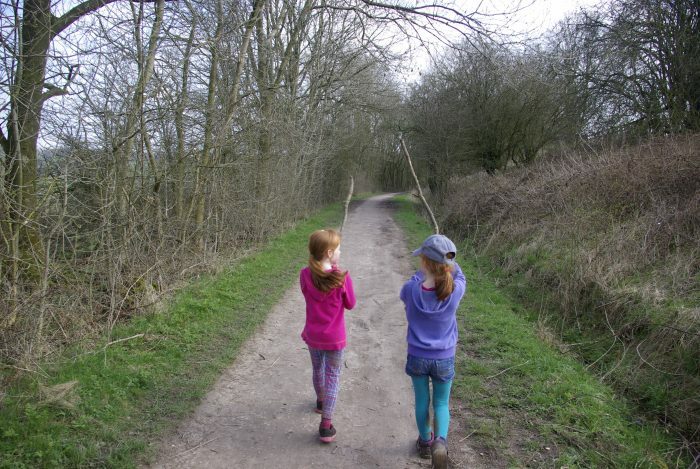 During our weekend at Sandybrook Country Park in Derbyshire, I decided it would be a great idea to get out for a nice, family-friendly, character-building walk along the Tissington Trail. 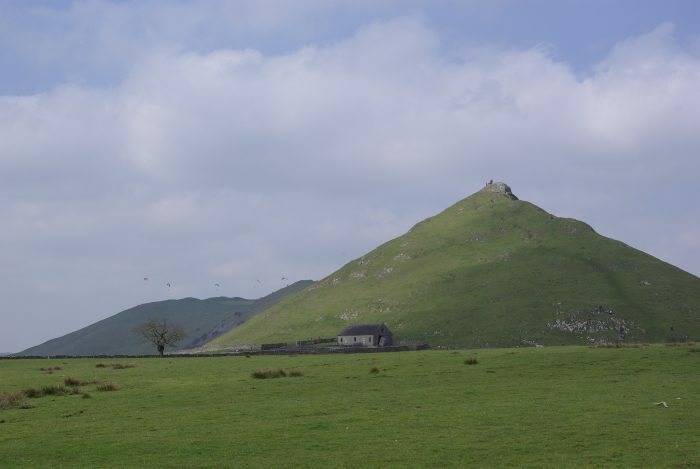 We really needed the exercise and the fresh air, and Derbyshire is a good place to get out and about and enjoy the scenery. 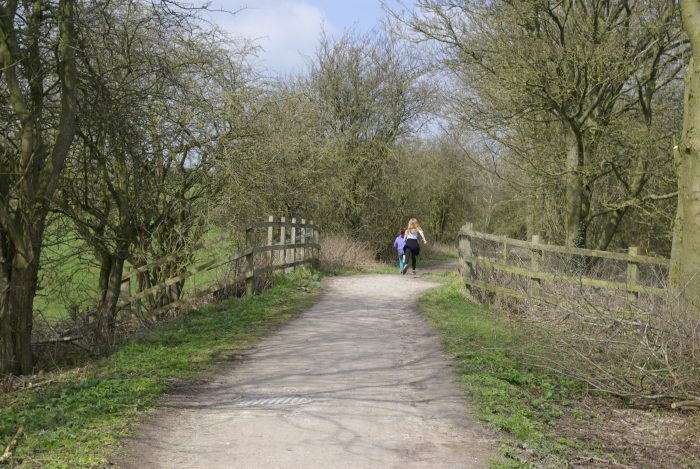 Right opposite the main entrance to Sandybrook Country Park is a lane, and a few yards down this lane there are some steps where you can go up and onto the old railway line which is now the walking/cycle path called the Tissington Trail. 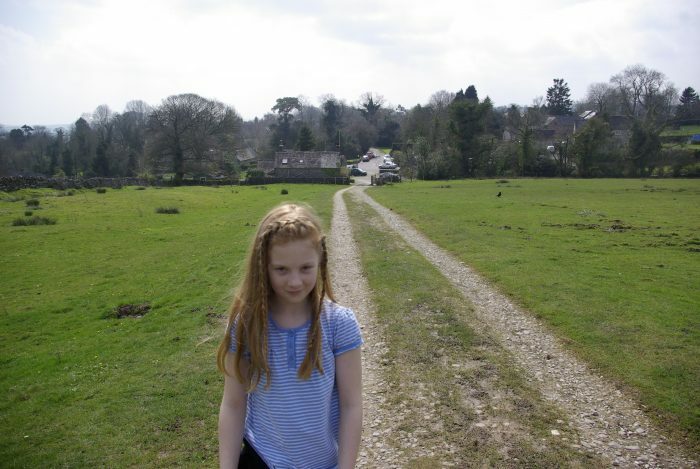 The trail runs 13 miles between Ashbourne just to the south of Sandybrook, and Parsley Hay to the north. The day we went was a very sunny day which had been preceded by days and days of rain. The ground was very boggy in places. We should really have worn wellies. But we didn’t. The path is shared by walkers and cyclists. Some of the cyclists were going pretty fast and we needed to have a system for letting them past to avoid the twins being wiped out. They got the hang of it eventually! The path provided some nice scenery and the chance to spot some nature, though we didn’t see too much of it. There were some old railway bridges to provide interest and lots of sticks to pick up and drag along the trail. 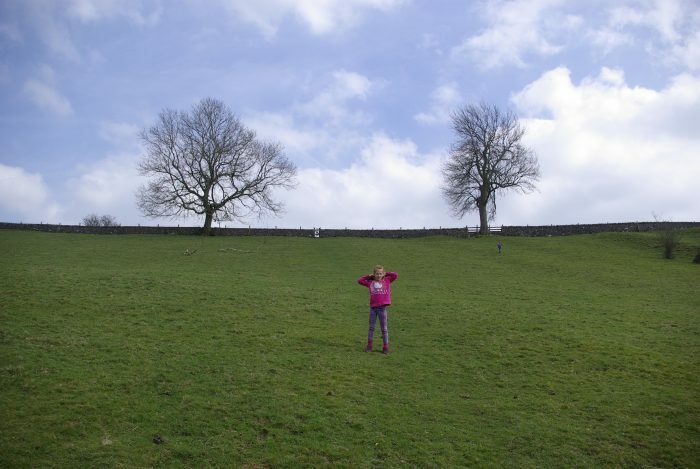 The moaning about having to walk had started before we’d even got on to Tissington Trail, and now it was getting worse. Big walks aren’t something we do very often so we had nothing to compare it to. From now on, any walk we do will be compared to this one. At least the moaning was accompanied by some pretty scenes and fresh air. 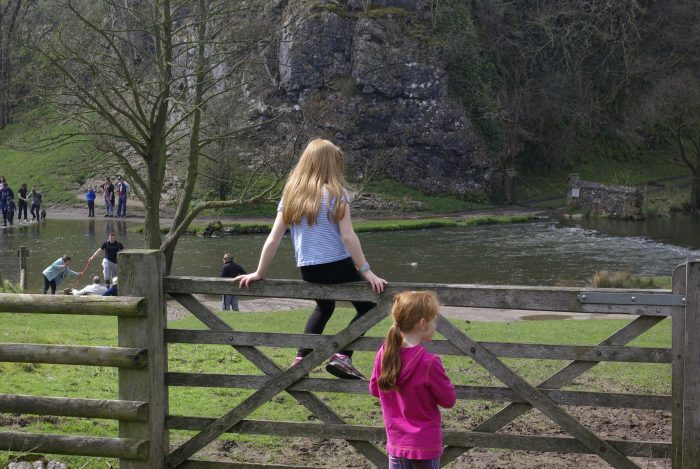 After a couple of miles of moaning, we reached Thorpe car park, and we made the decision to go to Dovedale Stepping Stones instead of Tissington village, which would have been about the same distance from that point. 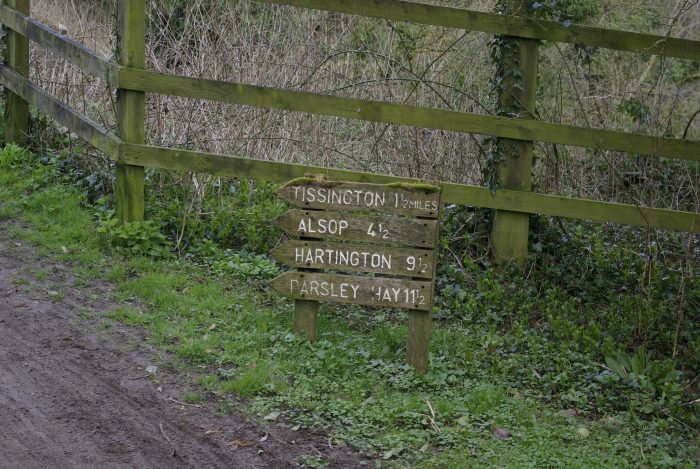 So we left the Tissington Trail and headed west along the country lanes to Thorpe. 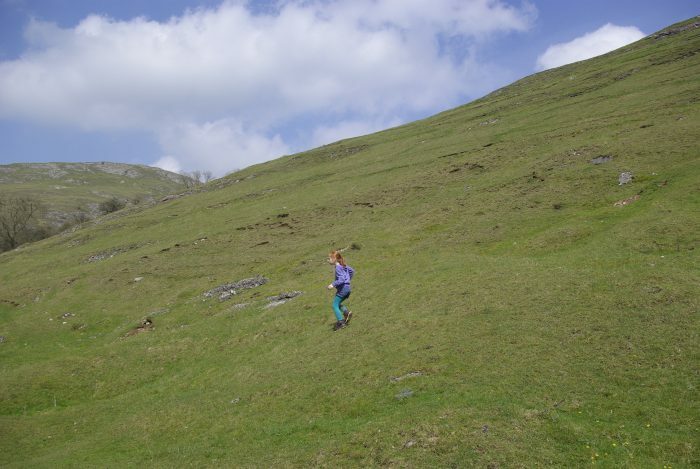 This part of the route was fraught with different dangers – cars. Saying that it was no M25 and cars were fairly infrequent. The route was very up and down and in parts, pretty wet. It was also very scenic. We said hello to several sheep on the way. 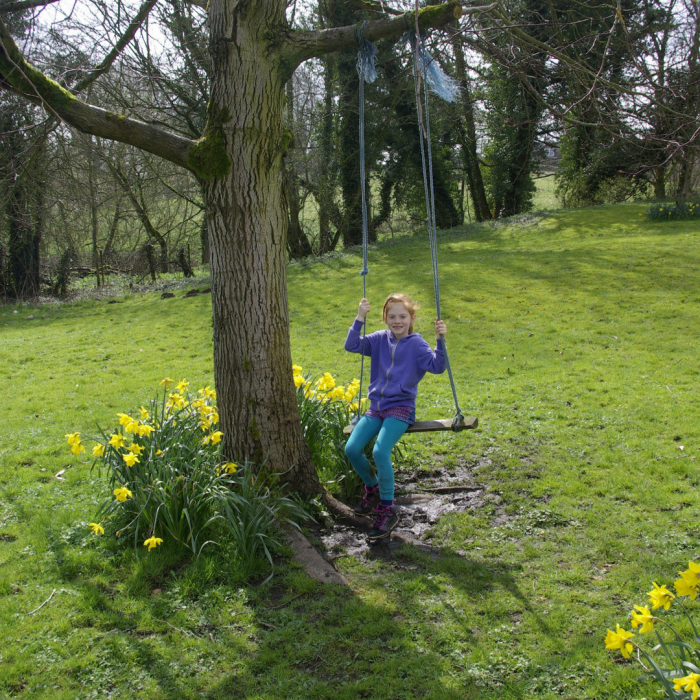 We followed the signs to Thorpe and Ilam through some little village, and we found a swing. We’d been walking for a couple of hours by then so we had a little sit on the nearby bench and cracked open the picnic. The moaning stopped temporarily. Pushing onwards and we found a car park with some public loos, which was handy, and from there we found a sign to the Dovedale stepping stones. We were going to follow the main road as per Google Maps was instructing us but we (OK, I) decided to ignore it and instead set off up the relative safety of the off-road track. The path ended and there were no signs. We had no idea which way we were going. Someone made a joke about Middle Earth. One of the hobbits fell in a muddy puddle. The ground was very boggy, and the only path we could now see in the distance in the approximate direction of the stepping stones looked more like a river. The unfortunate hobbit was very upset and quite muddy. We hadn’t brought any spare clothes with us so we hoped the sun would help dry it up as quick as possible. 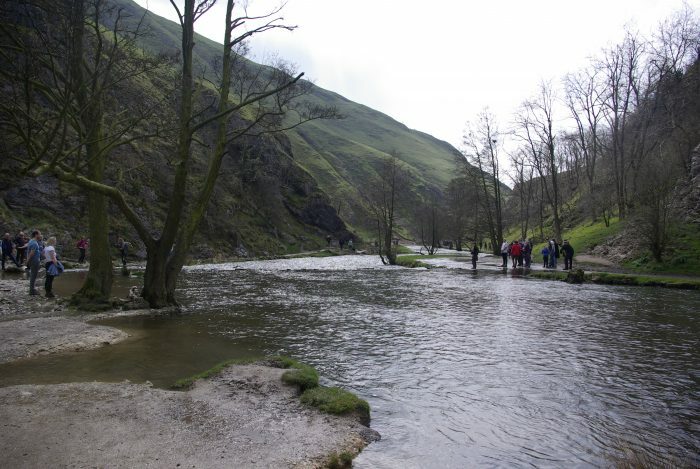 But Dovedale was looking glorious, and I was having fun even if they weren’t! 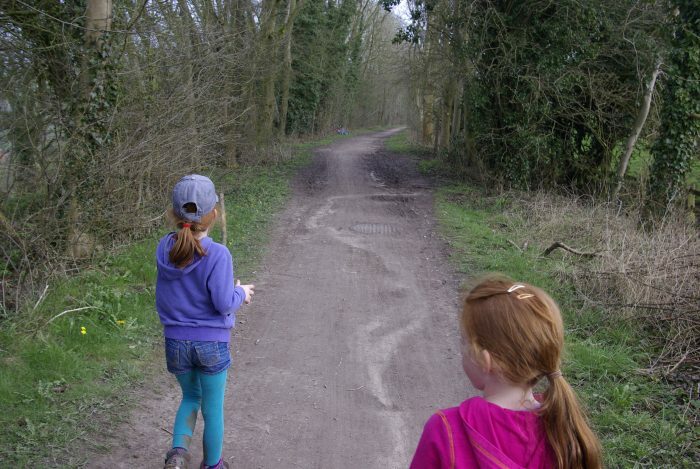 We had no idea where the path was supposed to be – looking back now I’m sure it was the small river that had flooded – so we pressed on as best we could and tried to avoid any more muddy patches. 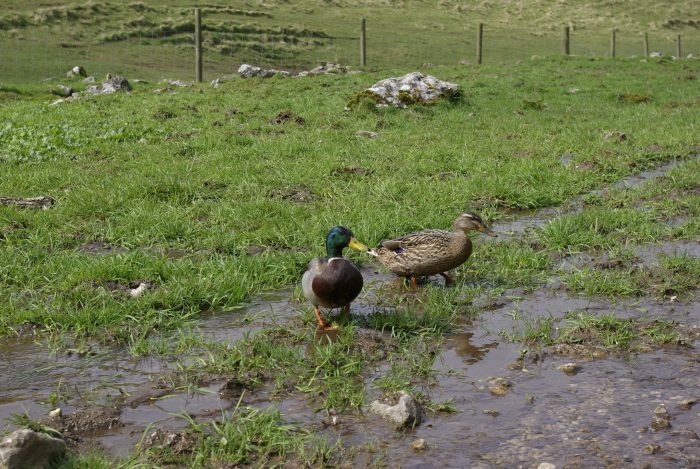 We found some ducks though, which pretty much summed up the weather we’d been having! Because of the high levels of rain over the preceding days, the river was high and looked swollen in places. 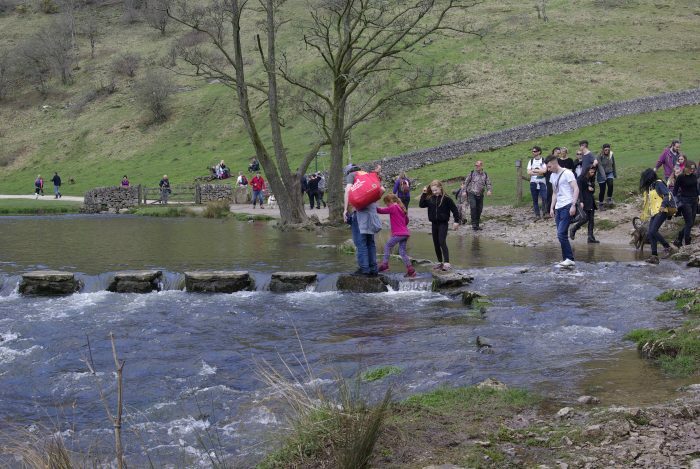 The steps were pretty much under the water, though this didn’t stop people from trying to get across. It was this point we regretted not wearing our wellies. 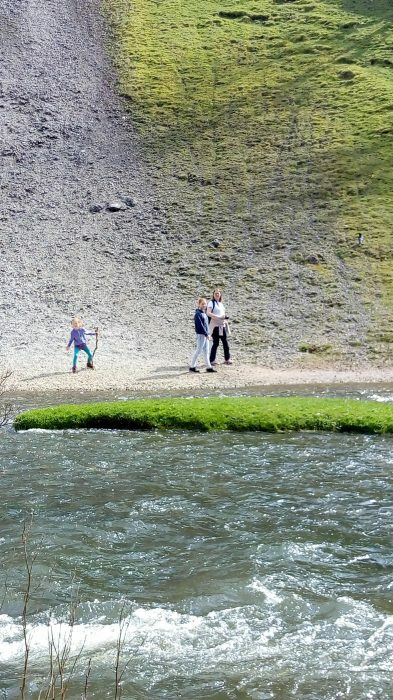 We didn’t really know where we were going, but we had a think and decided to follow the river to the south, three of us going across the stepping stones and walking down the western bank, and the sensible/boring three staying on the eastern bank. Apparently, there was a wooden footbridge further down where we could be reunited. The eastern path was pretty treacherous though. The rain had widened the river and submerged most of what was probably the path, so the way was bumpy and steep. We passed a lady coming the opposite way with a walking frame. How she got down to the stepping stones I have no idea. 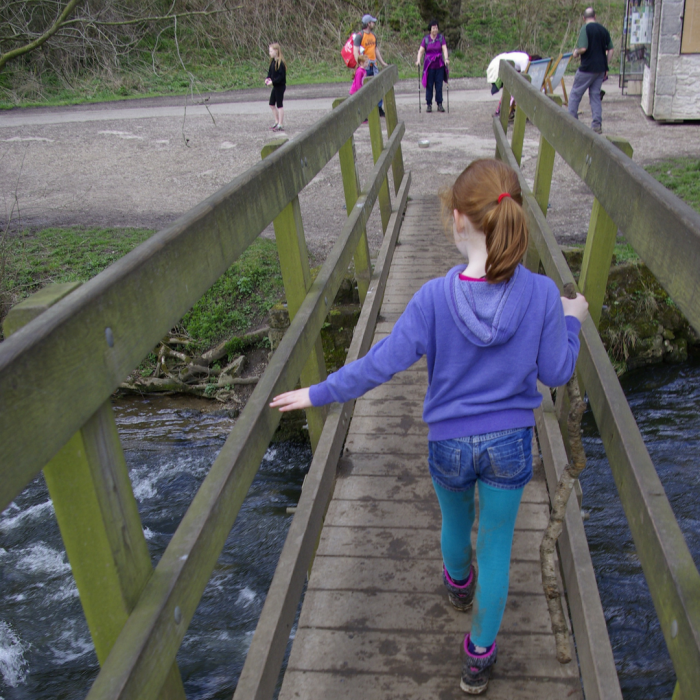 But we eventually found the footbridge and we reunited and made our way down to the car park. Here there is a car park, toilets, and a refreshment stand selling ice-cream, drinks, and all sorts of snacks. The car park was rammed and it looked like the marshalls were running a one-in, one-out system. We had an ice-cream each, and visited the loos, and set off back to base. This time, we decided to go the route that Google maps had recommended. 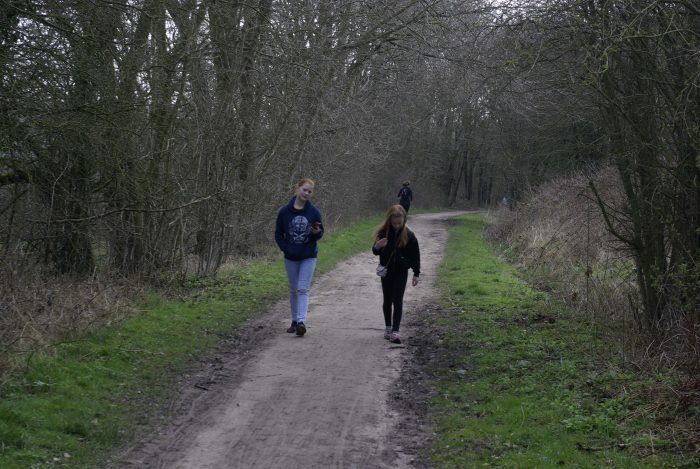 At this point, we passed the signs that marked the boundary to Staffordshire – we had walked an awful long way! 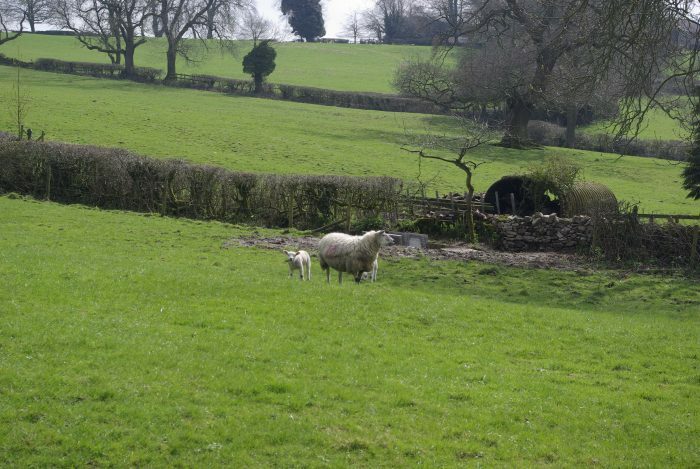 The route back was along country lanes with narrow or non-existent footpaths, so we occasionally went off-route, preferring a steep uphill climb with sheep to being blown over by speeding cars. We had some educational discussion prompted by the odd sheep placenta, which was nice. By then, the moaning had stopped. 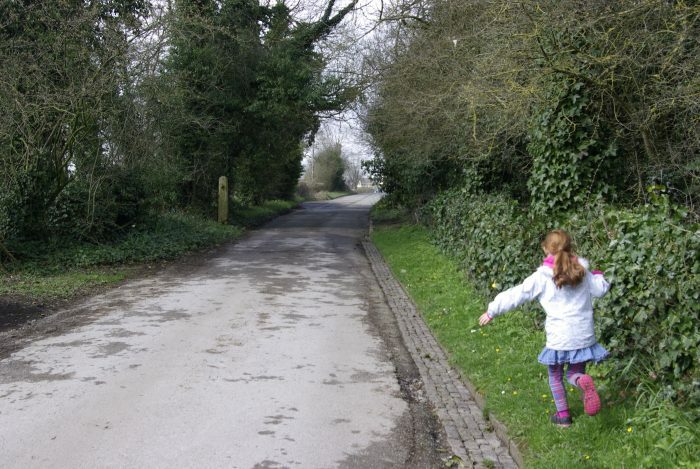 The children knew we were on our way back, and they knew how long it would be, so they just got on with it. 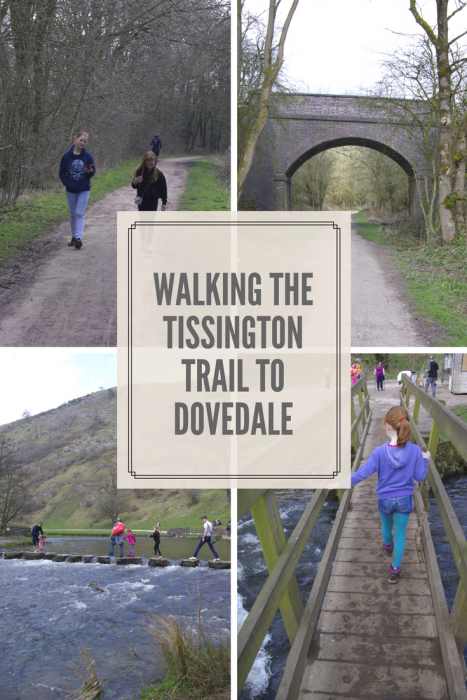 We traced our steps back to Thorpe car park, and then after a quick snack stop (again), headed south back down the Tissington Trail to go back to Sandybrook Country Park. 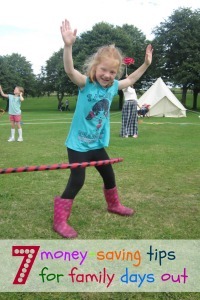 The younger children entertained themselves with sticks. 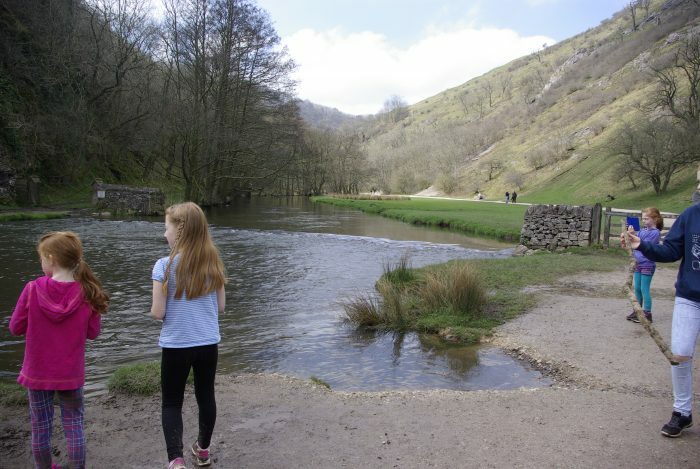 The route from Sandybrook Country Park to Dovedale Stepping Stones is just short of 4 miles, so we walked almost eight miles. 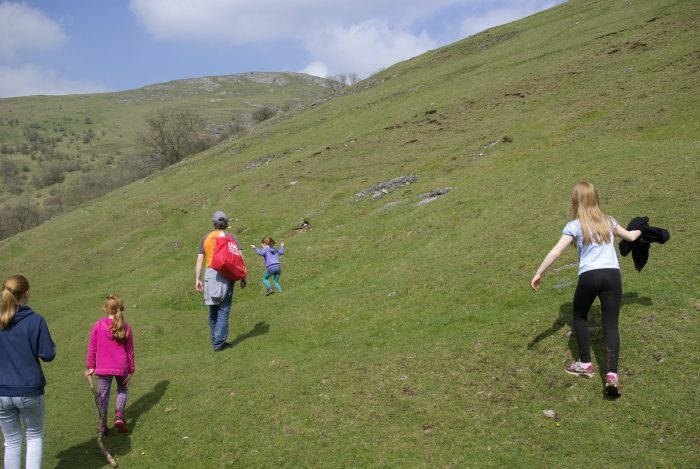 It took us about six hours with various picnic stops and our time at Dovedale. 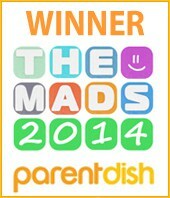 I thought it was a great way to spend the day, even if the children spent a huge chunk of time displaying their disagreement verbally. Once back at our holiday lodge, I decided I wasn’t going to (and couldn’t) move for the rest of the day, so the hot tub was the best plan we had. Granted I couldn’t walk properly the day after either, which shows how little we get to do walks of this kind and how we really do need to get out some more. Exercise and fresh air is always a good idea!